Get news about games, speaking, and more. Welcome! Glad you decided to stop by. Check out the projects I'm working on by following the links, or scroll down to see my recent news and activities. …and then we died now available for purchase! "To Better Know that Death" ...and then we died writeup by @dangerhazzard on @unwinnable. "Tarot is the ideal vehicle for …and then we died because the game is a late-night, neon-lit clandestine and playful confrontation of our own fears of death." "This episode is our live panel interview with Carla Kopp of Weird Giraffe Games, Emma Larkins, designer of Heart Catchers and Confabula Rasa, and Emelie Van Rodin designer and publisher of State of Wonder." "For my process, it’s very much centered around playtesting and actually getting it onto the table. The really interesting thing about physical games compared to digital games is that iterations are so fast. When I was in the digital/development space, so much time of it was the production, even getting to stuff you could put in front of people — it could take weeks or months or even years to get to that point. Shoutout to Nicole for the great feature! And if you liked the interviews, don't forget to check out Joseph's great game design blog. PGI Podcast November 2017. More info and links here. 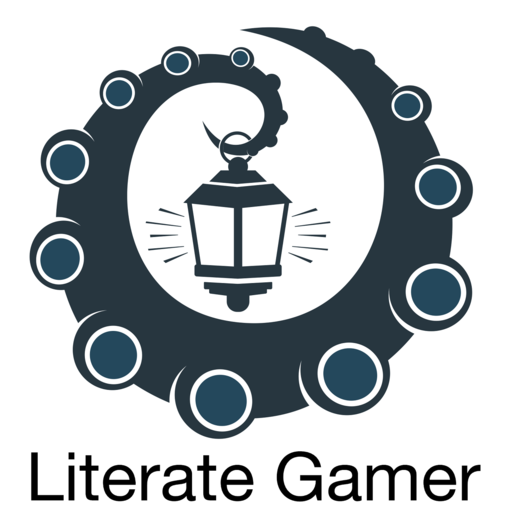 Another episode of Literate Gamer! This time on Board Game Design.